Considering selling your home in Denver ?? 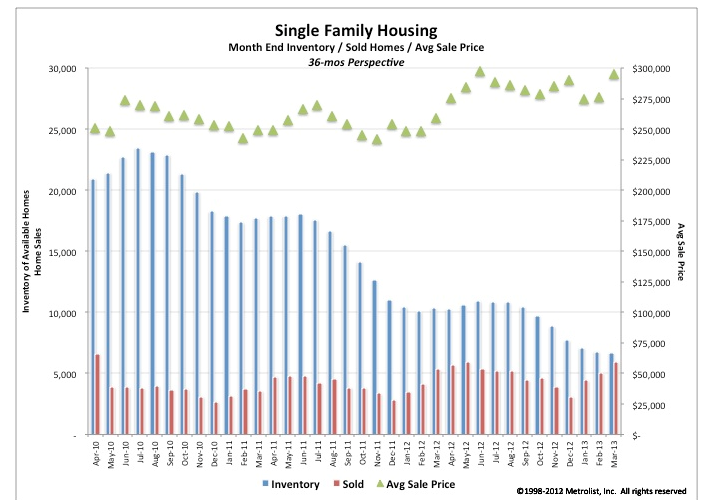 According to Metrolist® , the average sales price from March 2012 to March 2013 has risen by 19% from $248,065 to $295,330. .. my response will be “too late!”. However, while the mortgage rate has increased slightly, it continues to stay historically low. If the rate rises by a point, the amount you pay over the course of the loan will far exceed any % increase on home values rising we are seeing in today’s market.